The Sony RX100 series of cameras are probably the best compact cameras you can buy. The Sony RX100 IV and the RX100 V feature an amazing back-illuminated 1″ sensor, and a fantastic lens. Since these cameras are a little pricey, it is important to protect them with at least a screen protector and maybe some form of a case. As far as design goes, these cameras hasn’t changed much since version II, some slight tweaks is all. The good news is for those that upgrade, your accessories will usually carry over. Here is a list of some of the coolest and best accessories for the Sony RX100 IV and V.
I’ve compiled a list of all the best accessories and gear for the Sony RX100 IV and the RX100 V so that you don’t have to get lost in the mess crappy 3rd party accessories that flood Amazon daily. Sony still hasn’t put great scratch resistant screens on their cameras yet so I recommend you get a screen protector. 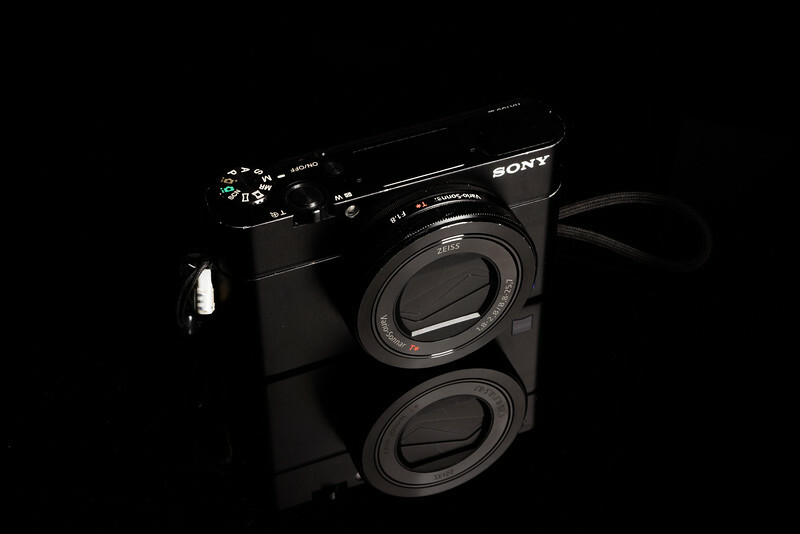 Since the body of the Sony RX100 V is near identical to the RX100 IV and the RX100 III. The Expert Shield screen protectors really have the best thing going right now. Lifetime warranty and a staff that’s not impossible to get a hold of. They’re a real company and I use them on all my cameras now. I rarely find other screen protectors worth listing. Here are a few batteries that work great. Remember when using batteries, it’s fine to use 3rd party, but I recommend you at least charge them with a Sony charger or in-camera to get the best charge. A slower low power charge is typically better and Sony charging systems have them calibrated for their specific needs. If you have old batteries from your old RX100 camera they should still work. If you’re looking for something new, I usually like the Sony batteries, but you’ll probably only need one backup for this camera so I’m sure a 3rd party will be fine. Wasabi Battery 2-Pack – (Amazon) Very popular 3rd party battery. BM Premium 2-Pack – (Amazon) I’ve used this brand before as well. Memory cards are important for this camera. You have to use SDXC U3 UHS-I cards if you want to shoot 4k Video. See the the following guides to find the best memory cards for your RX100. The guts of the RX100 V seemed to have changed a bit as it introduces a lot of new features. However, the memory card write speed bottleneck is still about the same. Since the RX100 IV and V have a retractable lens, it’s difficult to find a UV filter that simply works. However, Lensmate has come up with something really cool. A Quick Changing Filter Adapter Kit. It allows you to add a standard 52mm UV filter to your lens without any vignetting. So if you’re wondering how to use a UV filter for the RX100 IV or V, this is it. There are a few really cool options here by Gariz that vary in price and style. I have a few Gariz cases, I like them. They’re built very well and are durable, but they don’t really have that authentic handmade feel that some people want. Keep in mind, that cases that worked on the RX100 V and IV will not work on the RX100 VI. The RX100VI has a new lens with some slight changes to the body. For Sony cameras I really like the Gariz case. They fit very well in to the camera and provide some extra grip as well as protection. Kaza-Deluxe – (Kaza-Deluxe.com) Kaza-Deluxe makes the best leather case for the money. I know they make leather cases for the RX100 III and the IV is the same body so when you order from them just verify that the case they are giving you is for the RX100 III or IV since a few little things have changed on the body since version I.
JB Camera Design makes a pretty interesting wood grip if you’re looking for some traction control. The camera is really small so some nice grip isn’t a bad idea. But of course this limits your ability to use custom cases. This camera is pretty small so you won’t likely need a full strap but you might like an wrist strap aside from the one that comes with the camera. Gordy’s – gordyscamerastraps – These might be a little too bulky for what you want on the RX100. But I use them on my X100T. OP/Tech USA Camera Strap – Amazon Detachable which handy. I use the Think Tank Mirrorless Mover for my camera. The smallest version is probably the best for RX100. Although you’ll probably keep this camera in your pocket or backpack so you might not need a case at all. You might want a small air blower just to help clean out those small cracks and tight places. The rocket blowers are great. There are a must have. Here is a very popular 6-pack I’ve purchase and love. Good quality cloths. These little small tripod are really great when it’s getting dark and you want to get that shot of the sunset, or even a group shot with the camera set to a timer. I’ve never found a mini tripod that I absolutely love. I’ve had a few that work decent and I’ve seen a few others that look cool. So I’ll list a couple that look good. Joby GP1 Gorilla Pod – Amazon I have a slightly larger version of this one. I actually use it to mount external lights or speedlights. Want to have an awesome underwater 4k camera for under a billion dollars? The RX100 IV might just be one of the coolest options. Besides maybe the GoPro or Sony Action camera. I think the quality you get from the RX100 IV would be vastly superior. There are a ton of options here for the RX100m4. I don’t know a ton about underwater cases, but you can find various quality cases at different prices for different needs. It’s important to do a little bit of research on something like this. You don’t want to dive 100 feet with a case not rated for it. If you have any questions leave a comment or email me. I’ve used most of the gear listed here on various camera so I’m familiar with the brands. I’ll keep this updated as I find more cool stuff.